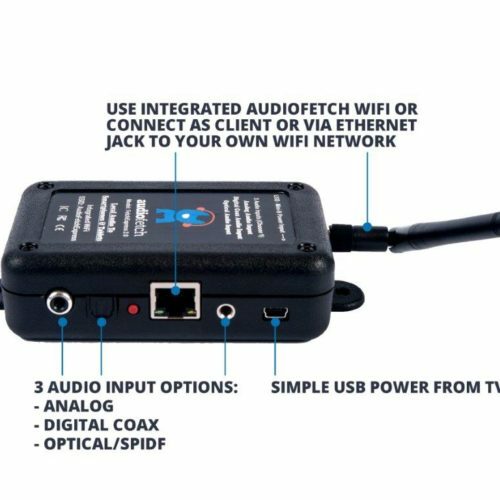 AudioFetch is a USA based company that specialises in designing and manufacturing high quality streaming audio-over-WiFi products. 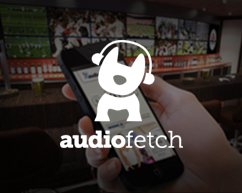 The AudioFetch system sends streaming audio via free downloadable apps to iOS and Android smartphones and leverages global WiFi standards. From simple two channel up to 512 channel systems, their solution is totally scalable and suits many applications where audio needs to be heard such as School Halls, Gyms, Airports, Bars, Museums, Conference Venues, Digital Signage, Churches and even portable use. 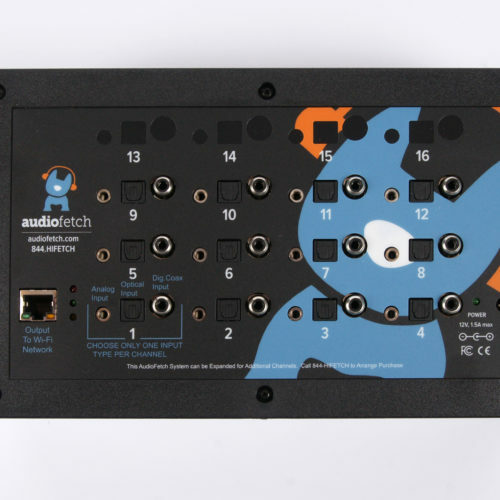 You can connect up to 250 users per AudioFetch device. 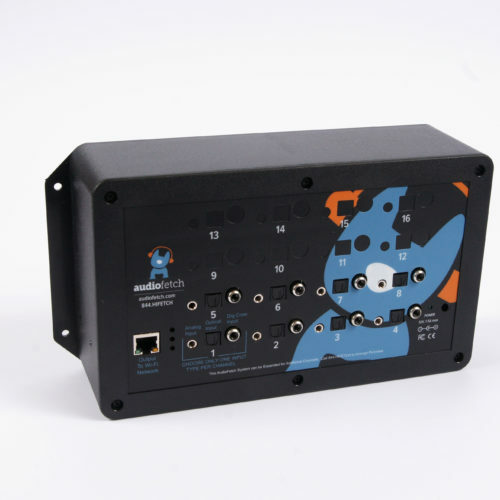 The hardware features individual processors per channel with multiple audio input options including analogue, optical and digital coax. It even comes with all the interconnecting cables! 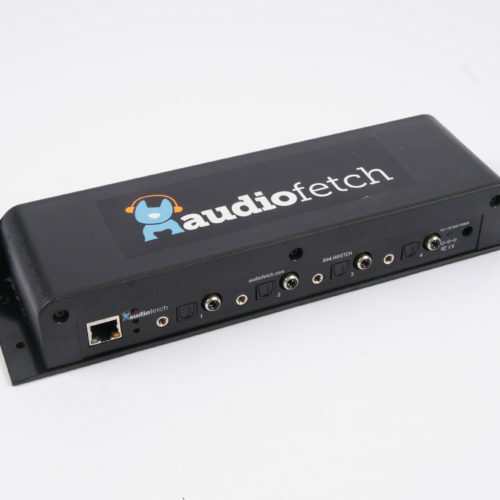 The AudioFetch Express features built in WiFi and can operate stand alone. Great for installations that don’t have an existing WiFi system. 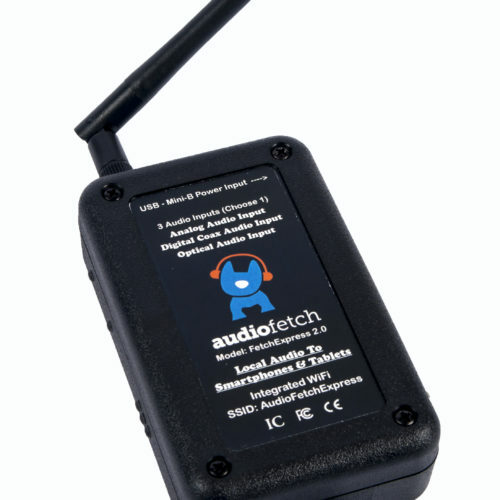 AudioFetch features a unique Public Address Override feature that allows a paging system priority input. A fantastic feature in a commercial audio system where paging announcements are made. The API is available so you can integrate AudioFetch with your own app. 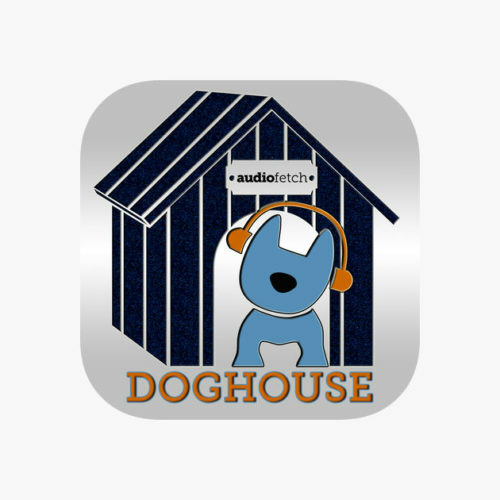 The DogHouse app allows very easy management of the system and the advertising portal and is even available as a mobile app for making changes on the fly. Contact us now for pricing and to arrange a demonstration.